"We're not just singing about Zion and all those glorious dreams. We're also dealing with issues that affect the people, their very minds." 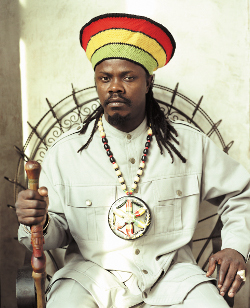 For your previous album Jah Is My Navigator you sang about your relationship with God. On this one you sing more about world affairs. Why did it feel right to cover these topics? I think with all that's been happening we need to show my fans that we are abreast of what's happening. We're not just singing about going to heaven. We're not just singing about Zion and all those glorious dreams. We're also dealing with issues that affect the people, their very minds, and these are the things that are affecting them. Talking about the recession that's happening, the terrorist attacks and all this. Socially commentaries you know? Because these are things that affect us all. Why did the time feel right to make an album whose title track focuses on Africa? Well honestly, because of the world, talking about one world order, and you have one Europe and all this kind of stuff. I think the awareness was not just on my side but also the producer, brother Frenchie - this song United States Of Africa is his favourite on the album - and then all the members of VP from Joel Chin right on back, we all saw the need. For example they recently had the World Cup in Africa, and the world consciousness is really focussed on Africa. So I think it is with this same momentum that we have decided to use this as the title track. What made you decide to work with Frenchie as producer on this particular album? Brother Frenchie and I and I have been working for many years now. We have been doing tracks on individual 45s along the way. Even A No Like We No Like Them and Be Aware were done some time ago. We have done productions before and I find him to be a very great producer. He is one producer where you can't just come and sing anything and then leave and walk out just like that. He's going to tell you, "I don't like this one Luci. Why don't you sing the melody a little more vibes? Put this here..." you know? He's that type of producer. You can't just give him any old thing. Frenchie is one producer where you can't just come and sing anything. He's going to tell you, "I don't like this one Luci. Why don't you sing the melody a little more vibes? Put this here..." You can't just give him any old thing. Even though Dean Fraser didn't produce this time he still plays saxophone. What's the best thing about working with Dean? Mr Dean Fraser has been there from the inception, from the very early starting preliminary stages of my career. He's been there since the Fatis [Burrell] days. Because ever since I've been with Fatis, Mr Dean Fraser has been the musical director: they wanted him from harmonies right through to being on the road. So Mr Fraser and I have had a musical understanding and a musical journey and there is no doubt that there is a mutual respect between both of us. During Be Aware you talk about vampires and backbiters who prey on righteous people. Are these lyrics based on your own life? Yes, this is from my own life experiences. It was an experience from not too long ago early last year when this man sneaked up on me and hit me with an iron pipe in my head. That inspired the song right there. Early last year this man sneaked up on me and hit me with an iron pipe in my head. That inspired the song Be Aware right there. When things get bad do you ever think of leaving Jamaica for Africa as Sizzla has done? I am definitely in the process of setting foundations in Africa because I need to. 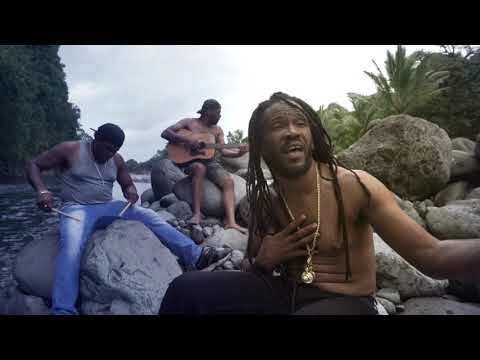 And even though Jamaica I won't fling a stone behind me and leave, I do believe that somehow we have a connection there in Africa and my navel string was cut there. So I can't just run and leave out Jamaica but I need to set a firm foundation in Africa. Because I am the one who comes and sings about a One Way Ticket to Africa and sing so much about Africa that it would really be sad if I complete my journey in Babylon and don't complete my cycle and end up in the Motherland. King Of Kings is critical of some people's religious behaviour. What inspired you to write the lyrics to this song? When I study human nature and the behaviour of mankind it seems as if people just read some parts of the Bible and are satisfied with and use the parts that might be convenient to their interpretation. I honestly believe that from a foundation that was laid there are certain principles that we should try to abide by. I think that mankind has not really been trying to abide by the codes that God has set for us. For example, if you are going to log onto a website you have to make sure that all the numbers and letters are there and they are right so you web address is right. And there is no difference with the spiritual coding of The Almighty. For you to be at one with the spirit you have to balance. It's just like the way music has taught me so much about harmony, unison and being in balance and making sure you are in sequence with the rhythm when singing. It's the same thing with the spirit of Almighty God and the human soul. For us to really anchor into the spirit and be able to function efficiently as a spiritual being, we have to abide by the spiritual codings The Almighty has given us. I think that man has just chosen certain religious ideologies and philosophies that make them comfortable or suit their life style. This is what I find. 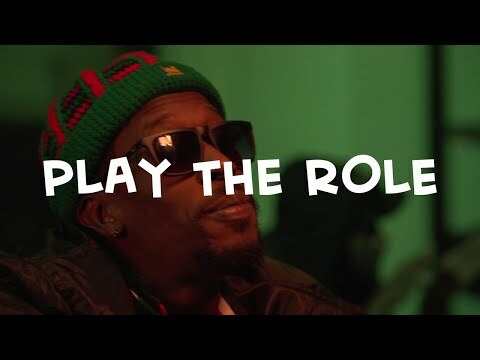 I think that this song addresses this matter: instead of going off with their own interpretation and our own beliefs about how God would want us to live we need to just follow the spiritual coding, the spiritual Bible and the spiritual wording. I think that man has just chosen certain religious ideologies and philosophies that make them comfortable or suit their life style. In this Recession sees you on a very vintage sounding rhythm that could have come from the 1970s, Moving On uses an old Paragons rhythm, Hosanna uses an old Bunny Lee rhythm. How important is it to go back to the foundation? This is one of the main things that really impresses me about brother Frenchie. This is a man who just came up with some rhythms that, to me, just fit right into my veins. These are the kind of rhythms I love. I grew up with this kind of vibration. I love these real roots rhythms and I think it honestly connects me to the roots. It's nice to sing on some up-tempo rhythms, some of these modern day so-called rhythms, but to me I feel more comfortable when I sing on these real roots rhythms. This is also doing justice to maintaining our heritage and keeping the roots rocking to keep the music in the ears of the people. Because when I've seen what Bitty McLean has done with that song Walk Away I know the power of the music. When certain love songs have been done on the original foundation rhythm I think the audience appeal is greater to it. I feel a great spirit in the roots rocking reggae music. In the way it's not just a computerized thing but people go in the studio with their real live instruments and lay. In those days they never had so many tracks so you can feel it had to be spirit that kept them playing with such precision. On the subject of live instruments, you recently collaborated with the American cellist Dave Eggar on his Kingston Morning album. How did that come about? Yes! Yes man! That brother is a genius you know my brother! I met with him through Mr Handel Tucker who is a producer who was working on this project and invited me to come. He'd been working with Mr Eggar and when I watched this man work with his instrument I felt so much connection with him on my guitar. I think when people become connected to their instrument they become one with their instrument and have so much more to tell. They have so much more to tell when you take time out and listen to them. When I met with him I was very impressed with how he was coming across to me. I could feel the vibration and the energy and I could see that this was a Jah Messenger. The man is a messenger so it was like one messenger to another when we collaborated and I really felt great about this. Haile Selassie celebrated his 118th birthday. How did you mark the occasion? 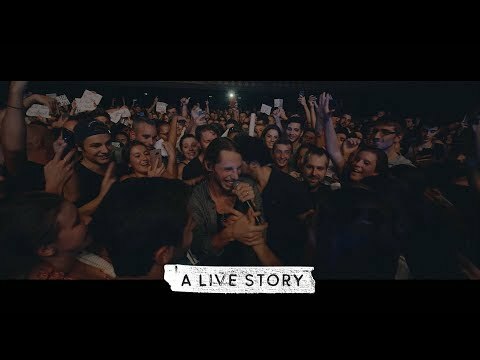 I was on tour in Italy and for the celebration we had a special night where we made mention of the birthday and had a special song that we did to acknowledge His Majesty's earth-strong that same night. To me, to be performing on the night of His Majesty's earth-strong is a great honour. To know that we are singing about love, singing about His Majesty and glorifying him there could be no better way to honour the day. Recently there have been attempts to improve the image of Jamaican music through media campaigns and government intervention. As someone committed to righteous lyrics how do you feel about this? I think the government took too long to start this. This was wanted long ago. But it's never too late, as they say, so give thanks for them having this approach to the music. Reggae - and not just reggae, music itself - is such a great and important integral facet of our country and our people that governments - not just Jamaica - need to pay attention to the music. I think we need to have some form of legislation and some governance whereby people don't just come out and sing any old garbage. We need to have some form of moral standard by which we are governed. We need to have some form of legislation whereby people don't just come out and sing any old garbage. We need to have some form of moral standard by which we are governed. You've been touring Europe and are in London to play at One Love Festival 2010. How does it feel to headline the first Reggae Festival in London since you played at Peace & Love Festival 10 years ago? I have to say Give Thanks because for me, anything with One Love in the name speaks for itself. You see when I was called to do this I didn't hesitate. Rastafari has been talking about One Love since before we even knew brother Bob Marley had highlighted the whole slang when you say, "One Love". Because when Rasta and Rasta meet we always say, "One Love, iyah, One Love" - that's from my knowledge of Rastafari. I'm just happy to be a part of anything that will bring about One Love to the people. As a musician I'm just happy for this opportunity to come and make my presentation. I find that festivals all over the world, whether in Europe, England, the UK or America, I find people really gravitate to the roots rocking music. And I love that they incorporate the Messenger because sometimes when we talk about festivals they don't do real roots music and the artists who are true to their mission never get the true recognition, so we give thanks when they can call on us. Have a great day and as always Peace, Love, Inity and 4ever Bless !! One Love !!!!!! 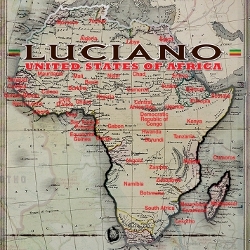 Indeed Mr. Luciano, indeed. Czech Republic gives thanks! 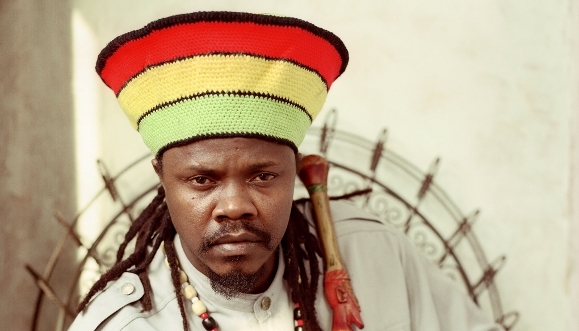 C'est génial, Luciano fait partie des plus grands reggae man de notre génération. Respect mon frere big uppppppp. Very nice interview. Keep up the good work, everyone. Keep on doing the good job. We want more interviews. To The Messenger InI say keep spreading the message. 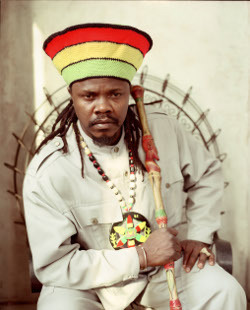 Luciano has always given me spiritual uplitment - his voice is alluring. 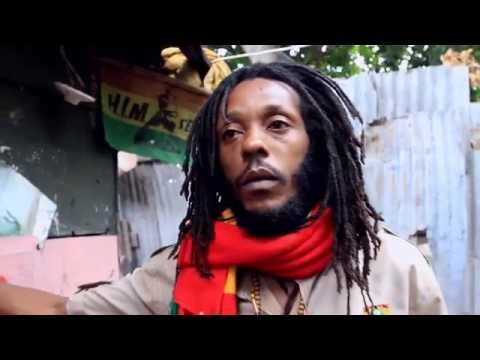 I love his style and approach to the consciousness of reggae music.